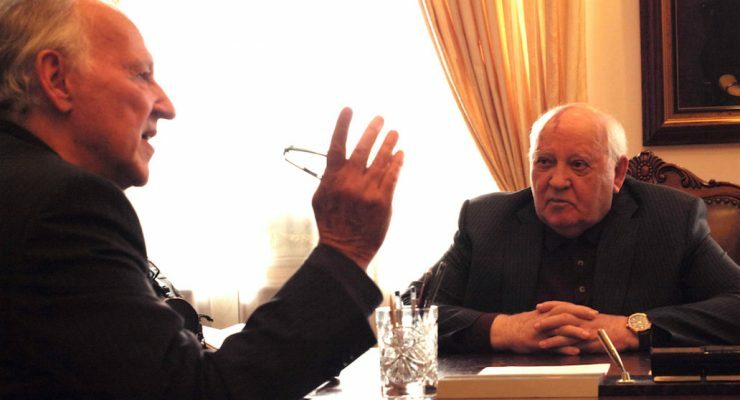 Meeting Gorbachev - Upstate Films, Ltd.
Werner Herzog’s candid conversations with the former Soviet head of state form the backbone of this illuminating documentary about one of the defining figures of the 20th century. More respected abroad than he is at home (where many continue to blame him for the 1991 break-up of the Soviet Union), Gorbachev speaks like a man with nothing to lose. At 87 and battling illness, the former General Secretary of the U.S.S.R has slowed down. But still, he gently but resolutely pushes toward his goals. Herzog, as on-screen interviewer, does not disguise his affection, celebrating Gorbachev’s three remarkable accomplishments: negotiations with the U.S. to reduce nuclear weapons; cessation of Soviet control of Eastern Europe and the reunification of Germany; and the dissolution of the Soviet Union and Eastern Bloc. Applying his unique perspective and inimitable narration to a deep archive of footage, Herzog’s and Singer’s documentary provides riveting access to one of the world’s most famous living politicians. In English, Russian, German, and Polish with subtitles. R / 1 hr 30 mins.